Captive Cetaceans Still Need Lifeforce's Help! First the Good News is that BC Supreme Court upheld the Vancouver Parks Board right to implement a bylaw to prohibit cetacean captivity in City parks but said the present lease agreement would exempt the Vancouver Aquarium (VA). Also a lot of people were foolishly persuaded and thought a VA announcement that they would stop the public display of cetacean was great news . However, the VA simply plans to rebrand by keeping/trading cetaceans who are “rescued”. This battle will continue! 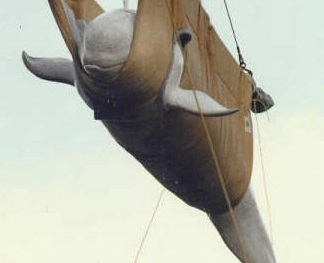 Also, the recently announced Fisheries Act “Improvements” Will Not Stop Cetacean Harassment and Captivity! All Orcas Need Better Protection! All Cetacean Captivity Must End! If you agree that “The public acceptance of keeping these majestic creatures in captivity has changed …” then I hope that you would be consistent in your principles and will protect all healthy and unfortunate cetaceans from a life of suffering in an aquarium tank. For decades the aquarium and zoo industry used their pro captivity agenda to profit from a worldwide free wildlife market that includes this whale and dolphin laundering. Their exploitation of “animal ambassadors”, who did not volunteer to be captured and imprisoned, failed as now 50% of wildlife populations shave been lost in the past 40 years. The Billion Dollar Aquarium and Zoo industry should spend the money on protecting habitats not prisons and fake education. The Vancouver Aquarium states that they will fight to keep “rescues” at the aquarium for any longer “care” until whenever they may find another aquarium but not humane options such as sea pens and a chance at freedom. Sadly, they and others will try to perpetuate captivity. Whales and dolphins still need our help! For over 35 year Lifeforce has continued our fight for cetacean rights and freedoms. Our campaigns were effective and copied by many organizations that unfortunately turned it into a business and even “slept” with by working with the enemy. Please consider making a donation to help us stop the Aquarium and Zoo Industry plans to perpetuate cetacean captivity for entertainment and experiments. It will also help us continue our public education to boaters that we started in 1993 to protect orcas, humpbacks, and others. We have our Ocean Friends Nature’s Moments programs on television and continue to create amazing education materials. Unlike most other organizations, we are on the water to document the continued need for better for DFO enforcement. Lifeforce volunteers do all the work – no high paid staff. Your membership and donations go further with Lifeforce.